Select Year of Graduation 2023 2022 2021 2020 2019 2018 2017 2016 2015 2014 2013 2012 2011 2010 2009 2008 2007 2006 2005 2004 2003 2002 2001 2000 1999 1998 1997 1996 1995 1994 1993 1992 1991 1990 1989 1988 1987 1986 1985 1984 1983 1982 1981 1980 Select the year when you completed the course. If you're currently studying, please select the year when you will complete the course. Your Review should wholistically express your college experience. The highs & lows, pros & cons of studying at the college & lastly some advice for aspirants. Give us the details of on and off campus facilities like stay options, food quality, modern amenities, classrooms, labs, library, Bank & ATM etc! Give us the name of the best event of your college fest and tell us why is it so good! You can give details on both the exposure you got or the amount of fun you had! Tell us about the Internships, Placements and Job Opportunities at your College. Does your College have a startup incubator? If Yes, tell us about the Incubator and how do they help students. Please specify how active the incubator is. You can mention the Incubated Companies, Collaborations, Investments etc. What are the safety measures followed by your college? Would you recommend this college? Please enter the link of your Facebook or LinkedIn profile that carry your name & your college name. Please make sure that the link you submit (Facebook or LinkedIn), is updated with your college & course name, as we will publish your review only after verifying the same. By submitting this review, I certify that this review is based on my own experience and I am not being paid or affiliated to write this. Your review will be moderated by our team within 15 days. Once your review is published by our team, you will get a confirmation email. Congratulations! 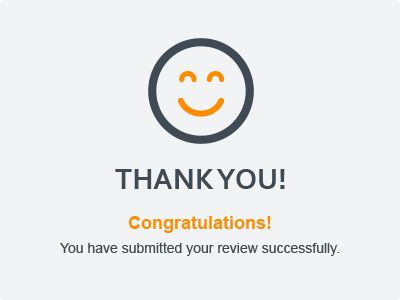 You have submitted your review successfully.